of eight candidates in the four wards covered by the Southwest Chicago Post—meaning that some of the 19 incumbents and challengers could be removed from the ballot by the Chicago Board of Elections in the weeks ahead. The primary is Feb. 26, and the general election (if needed) is April 2. • The 13th Ward includes all or parts of West Lawn, West Elsdon, Clearing and Garfield Ridge. An objection has been filed against challenger David J. Krupa, of the 5800 block of West 64th Place, by Moeen Zahdan, of the 5500 block of South Narragansett. If Krupa is removed from the ballot, incumbent Alderman Marty Quinn will be the only candidate remaining. • The 14th Ward includes all or parts of Garfield Ridge, Archer Heights, West Elsdon, Gage Park and Brighton Park. An objection has been filed against the petitions of Tanya G. Patino, of the 4400 block of South Karlov, by Raul Reyes, of the 5700 block of South Whipple. An objection has been filed against Irene Corral, of the 5200 block of South Menard, by Rene Soto, of the 5000 block of South Kolin, and Virginia J. Contreras, of the 5200 block of South Artesian. 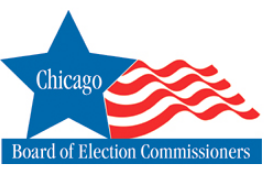 Candidates with no objections filed against them are incumbent Alderman Edward M. Burke, of the 3900 block of West 51st Street; José Torrez, of the 4900 block of South Kildare, and Jaime Guzman, of the 5500 block of South Whipple. • The 18th Ward includes all or parts of Scottsdale, Parkview, Ashburn, Wrightwood, Chicago Lawn and Auburn Gresham. An objection has been filed against incumbent Alderman Derrick G. Curtis, of the 8200 block of South Christiana; by Matthew J. Ross, of the 8000 block of South Sawyer. Should Curtis be removed, the only candidate left would be challenger Chuks Onyezia, of the 8600 block of South Kolmar. • The 22nd Ward includes all or parts of Vittum Park, Sleepy Hollow, the Hearst area and Little Village. No objections have been filed; and with longtime Ald. Ricardo Muñoz choosing not to run again, four hopefuls are on the ballot at this point: Lisette “Liz” Lopez, of the 2800 block of South Hamlin; Richard Juarez, of the 3000 block of South Avers; Neftalie Gonzalez, of the 2300 block of South Millard; and Michael D. Rodriguez, of the 2600 block of South Kedvale. • The 23rd Ward includes all or parts of Garfield Ridge, Clearing, West Elsdon, Archer Heights, Chicago Lawn and Gage Park. Objections have been filed against Charles M. Hughes, of the 5400 block of South Latrobe; Betsy Jovan Watkins, of the 3400 block of West 66th Place; and Richard Mayers, of the 6100 block of West 64th Place. The objector in each case is Arlyce Giudice, of the 6600 block of West 63rd Place. No objections have been filed against incumbent Alderman Silvana Tabares, of the 5300 block of South Normandy; and challenger Paulino R. Villarreal Jr., of the 6800 block of West 64th Place.